Euro 360 Video Store to Get Major Movie Boost? Microsoft UK says that new European Xbox 360 Video Store content will be released “in the coming weeks”, although it adds that the recent suggestion by its Irish division that a major content boost bringing the European service in line with the content-heavy US Marketplace is premature. However, in an email to Next-Gen, Microsoft UK said that talk of a major increase in the number of movies available over the European 360 Video Store any time soon was premature, although the spokesperson did add that a less dramatic wave of new content would be made available across Europe in the very near future. “I think what Orla meant to say by “imminently” is “at some stage in the future”. We’ve just launched Harry Potter and The Order of The Phoenix last week, and with more great content to come in the coming weeks, we’re always looking to bolster our Live Video Store offering in Europe,” offered the MS rep via email. 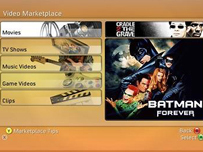 Xbox 360 Video Marketplace launched in Europe (UK, Ireland, France, Germany) and Canada in mid-December 2007, offering 360 owners a range of content including high definition movies at a price of 380 Microsoft Points (around £3.20) and standard definition films for 250 Microsoft Points (around £2.00). In contrast, North American 360 owners, who have had access to the US equivalent of the service since late 2006, have a much larger library of content to choose from including hundreds of movies and popular TV shows such as Desperate Housewives and Grey’s Anatomy, which Sheridan also noted would be headed to the European Marketplace later in 2008. “Microsoft is actively looking at all the factors that the modern person wants. It’s all about content at the moment, the way they want it best. The over-arching word we would use in our strategy is ‘choice’,” Sheridan said.